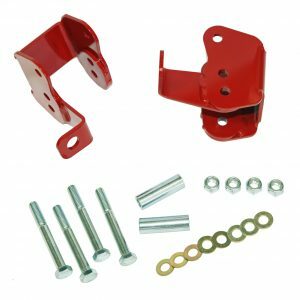 J&M Products has designed and manufactured a direct replacement upper control arm mount replaces the weak factory stamped steel mount. 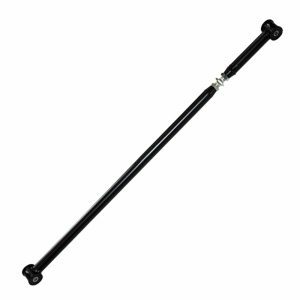 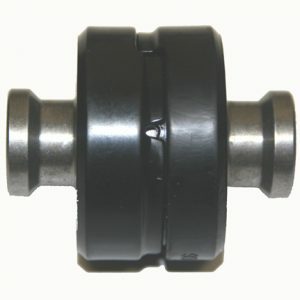 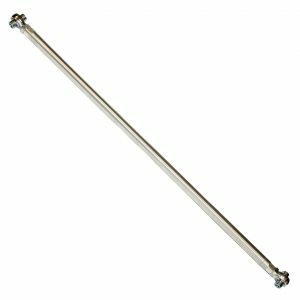 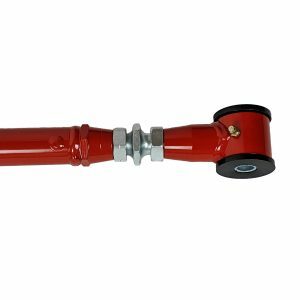 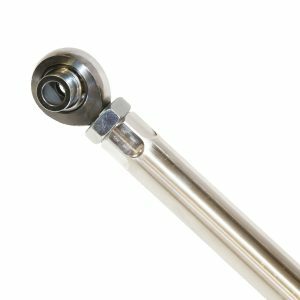 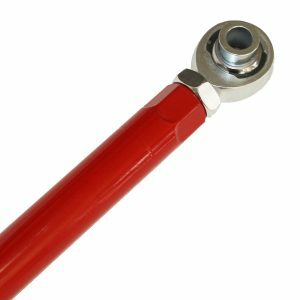 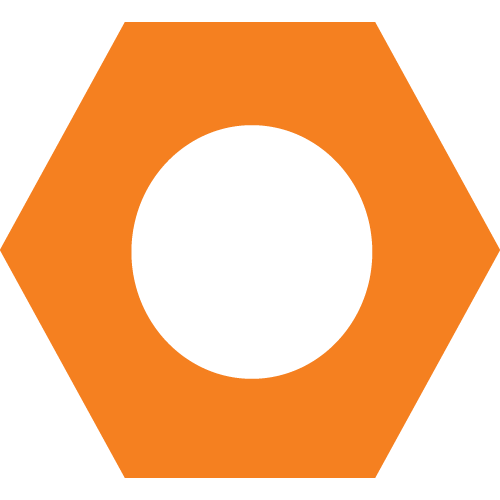 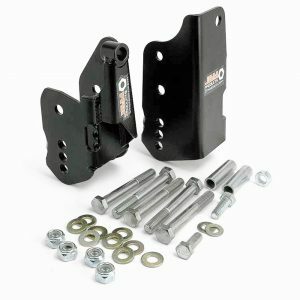 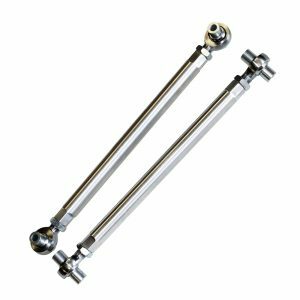 This mount is a direct bolt on and requires no welding or drilling for easy installation. 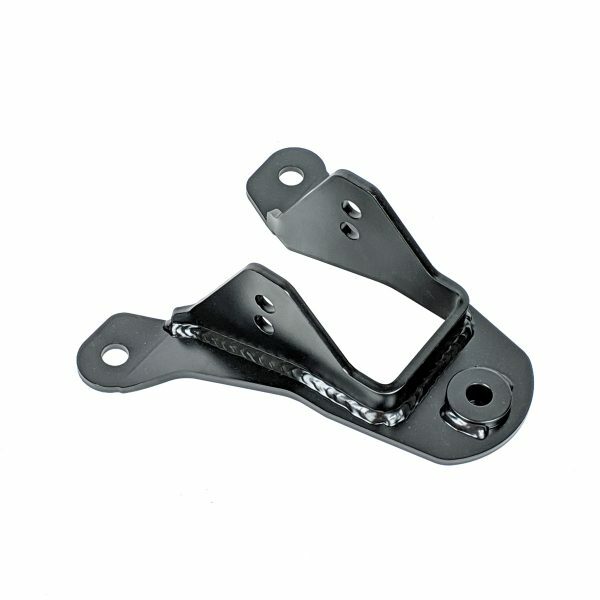 J&M Products new Upper Control arm mount for the mount is CNC laser cut and formed using high strength ¼” thick steel for increased strength making our mount twice the thickness of the factory mount. 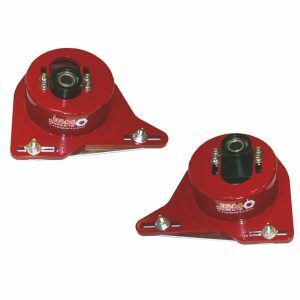 J&M has designed and manufactured a direct replacement upper control arm mount that replaces the weak factory stamped steel mount. 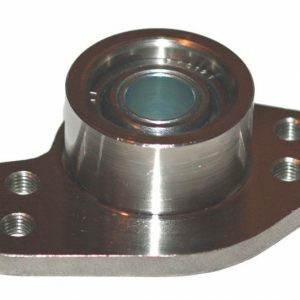 This mount is a direct bolt on and requires no welding or drilling for easy installation. 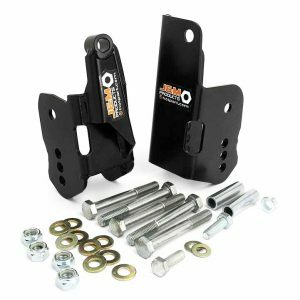 J&M Products Upper Control arm mount is CNC laser cut and formed using high strength ¼” thick steel for increased strength making our mount twice the thickness of the factory mount. 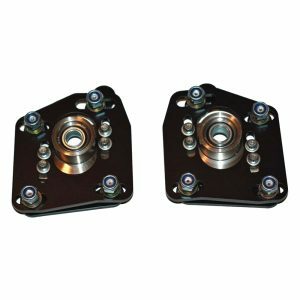 Our upper control arm mount also features two mounting hole locations allowing changes in your instant center for better tire bite during acceleration. 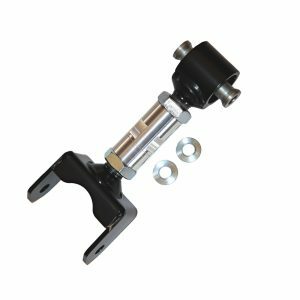 This mount also features a 14mm mounting hole for the upper control and corrects the clunking found with the factory upper control arm mount. 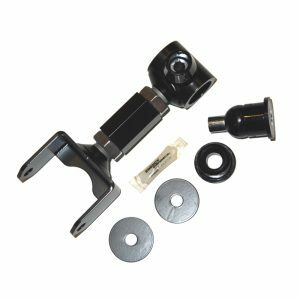 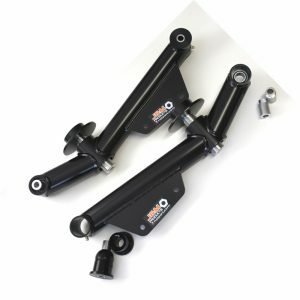 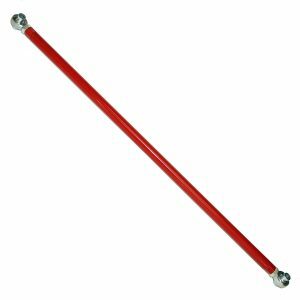 The installation of the Upper Control Arm Mount is easy and is something that can be completed with common hand tools and doesn’t require any additional hardware.